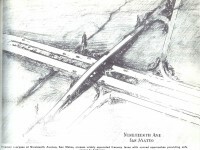 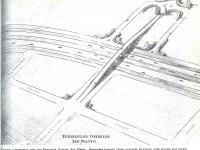 Doing some web research, I came across a web page with series of sketches showing concepts for interchanges along the Bayshore Highway in San Mateo County. 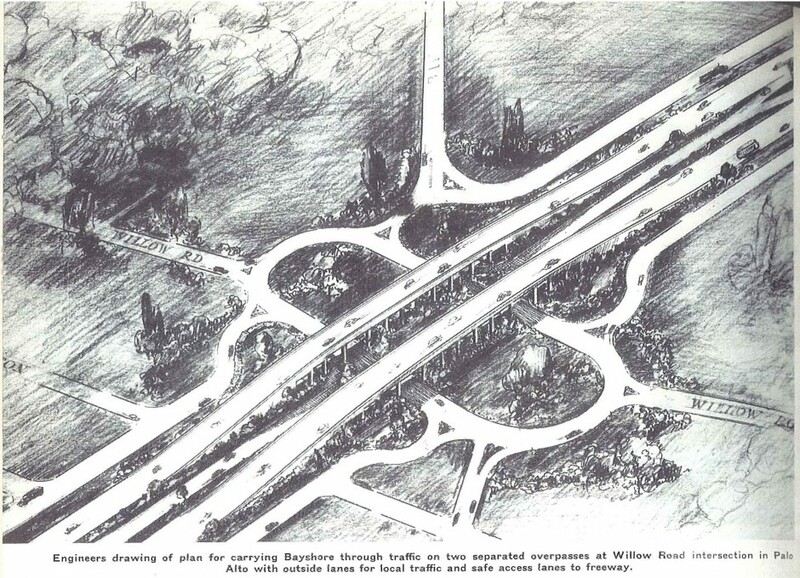 They appear to be from 1940, in the early days of freeway design when the concept of using bridges to separate traffic for uninterrupted traffic flow was new. 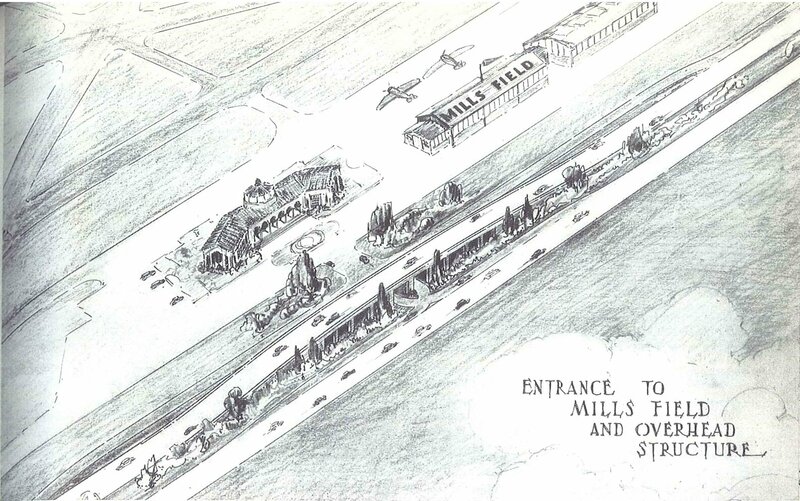 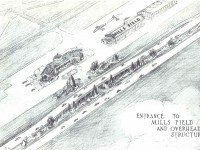 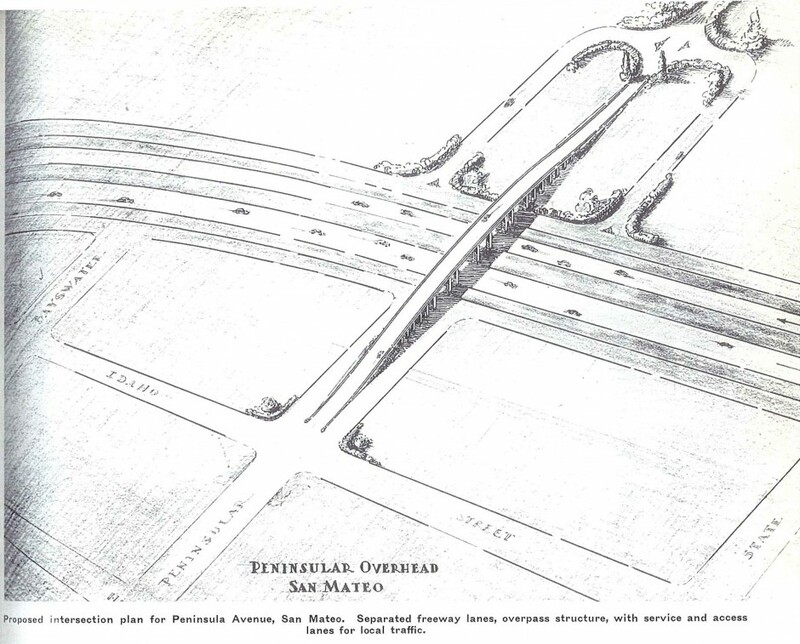 There were sketches for an interchange at Mills Field (later to become San Francisco International Airport), Broadway in Burlingame (the source of my original web search), and 19th Avenue in San Mateo (to become Highway 92 years later). 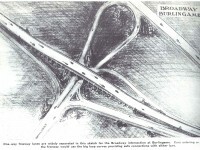 Most of these interchanges ended up becoming more familiar, conventional layouts such as cloverleafs. 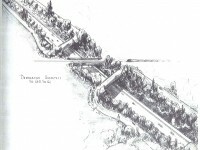 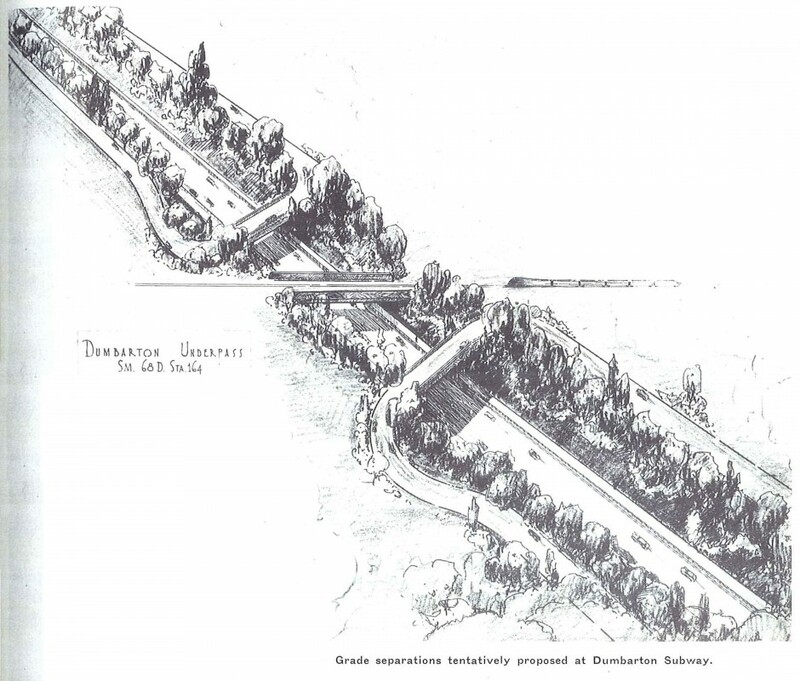 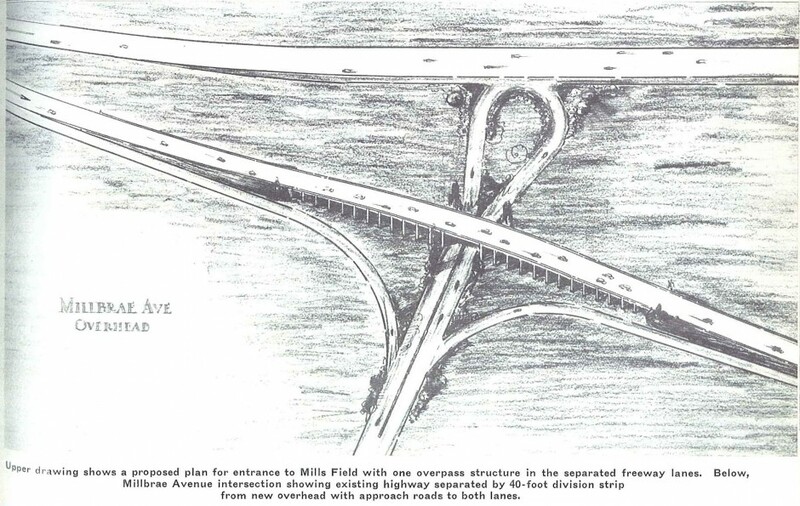 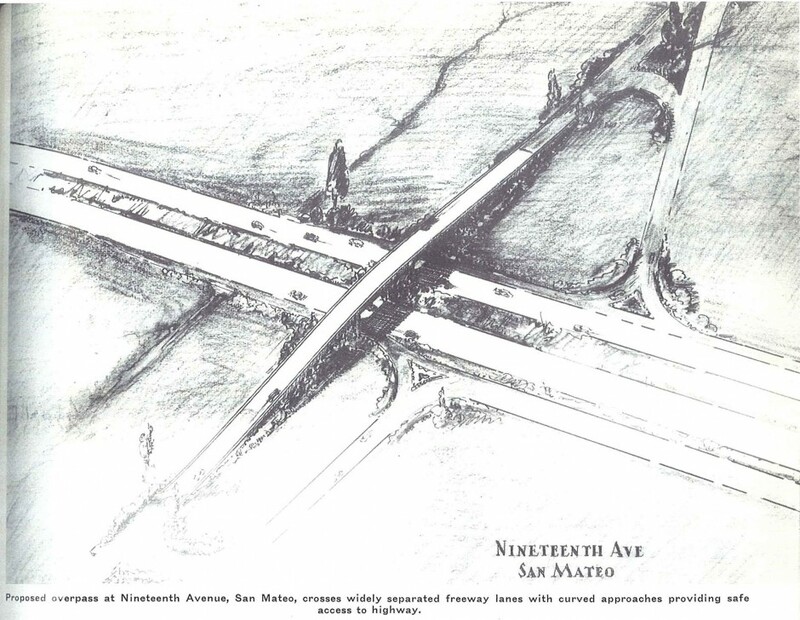 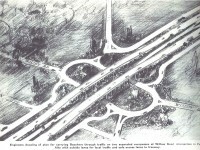 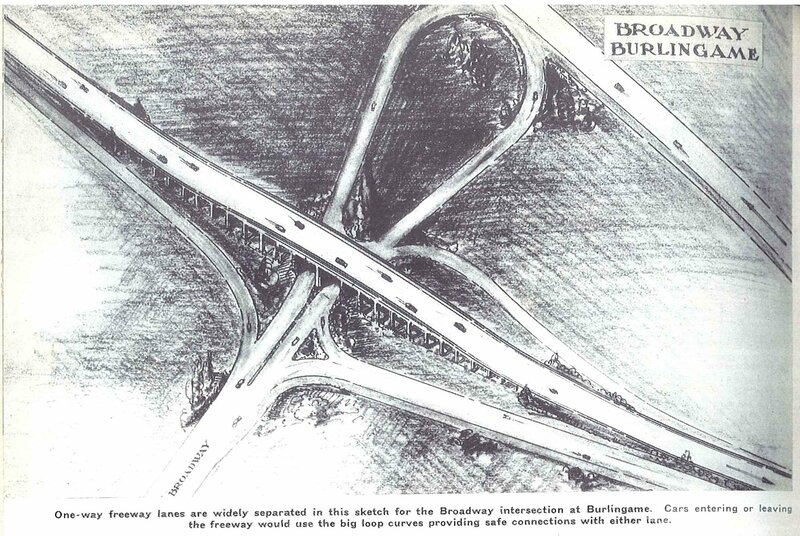 However the Broadway interchange has until recently endured with an unusual design which, while not as fanciful as the sketch provided here, had an assortment of perplexing twists and turns. 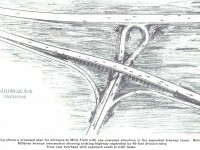 That interchange is in the process of being dismantled and replaced with a more efficient and conventional design.